Most new pet owners expect, or at least hope for, perfect health in their new little pup. There is hardly anything worse than having to deliver a diagnosis of mange. This is where the phrase “mangy dog” came from; these dogs can look awful in a hurry! But it doesn’t have to be so upsetting if you understand a few basic points about this potentially serious skin disorder. 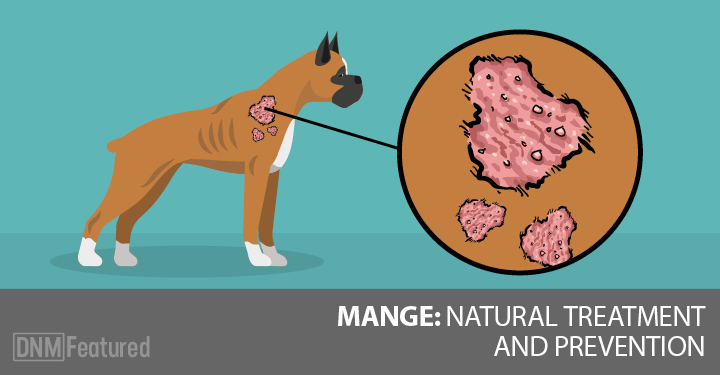 There are two types of mange and the mites that cause them. Understanding the differences between the two will greatly affect what you identify as cause, pursue as treatment and expect for prognosis. Demodectic mites live deep in the skin, while sarcoptic mites live on the surface. A skin scrape is necessary to identify which type is present. Demodex are very easy to pick up on a scraping, so long as the practitioner does a deep scraping. Sometimes more than one scraping is necessary. All skin disorders should be skin-scraped to rule out either of these mites as an underlying cause. Horrifyingly, we all have demodex on us all the time. They look like microscopic alligators. Thankfully, we don’t realize they are present unless there is a body flora imbalance, which allows them to proliferate abnormally. That’s when they begin to do their damage. They are not contagious. Sarcoptic mange, also called scabies in humans, is contagious. We do not carry these around unless we are exposed to another pet or person who has them – yes, you can get these from your dog. These mites like to chomp on dogs’ ear margins and are very difficult to identify on a skin scraping. Localized mange consists of small spots of alopecia (hair loss) in one location. Generalized mange is much more serious and can encompass the entire body with not only hair loss but secondary infection, causing redness, oozing, crusts and thickened, even elephant-like skin. These inflammatory changes can become very uncomfortable, to the point that the pruritus (itching) causes the pet to scratch incessantly and excoriate the skin even more. All this begins with a few mites, too small to see with the naked eye, gone wild. So, what causes demodectic mites to flourish and make your beautiful new puppy bald and uncomfortable? An immune system imbalance or a hereditary factor may predispose an animal to develop juvenile-onset demodicosis (Clinical Medicine of the Dog and Cat). That’s why building and maintaining a healthy immune system is so important. To speed the healing of localized demodicosis, many vets use a topical insecticide, Goodwinol Ointment, to decrease the parasites in that location. Alternatively, a holistic practitioner might recommend topical essential oils, which have insecticidal and/ or anti-inflammatory properties. These can include citronella, neem or lemon grass. Be cautious with essential oils in puppies. Be sure the oils have not been chemically adulterated or perfumed, and that they are generally regarded as safe by the FDA for internal consumption, because pets lick! Generalized demodicosis can be more serious, difficult and expensive to manage. These dogs, especially adults, should be checked for concurrent hormonal disorders such as hypothyroidism or Cushing’s disease. Using mite-killing dips too early in the onset of the disorder can lead to mite resistance and a worsened prognosis (Small Animal Dermatology, Muller and Kirk’s). Corticosteroids should never be used in dogs with any form of demodex (Clinical Medicine of the Dog and Cat). Steroids suppress the immune system further and this can cause a case of localized disease to become generalized. This is also why veterinarians should never prescribe steroids for an inadequately diagnosed skin condition. Concurrent staphococcal infections are also considered immunosuppressive in dogs with demodex. Although veterinarians might feel this is a good reason to treat the pet with antibiotics, indiscriminate use of antibiotics and the subsequent development of resistant bacteria only exacerbates the situation. A holistic vet’s regime of essential oils, immune balancing herbals and promotion of gut flora balance is a much more common sense approach than dips and antibiotics. For more serious cases, I sometimes prescribe intense, repetitive full body essential oil detoxifying soaks on a daily basis. My practice wouldn’t survive without Nature’s Rich soap, which aids in the dispersal of the essential oils in the soak water. Most soaps are too harsh and drying for the irritated skin of a mange condition. Nature’s Rich soap contains very pure ingredients including soothing and antimicrobial coconut oil. It is so gentle it can even be used on open wounds. Wondering how to safely use essential oils on your dog? Click here! You can also make a topical spray to apply between baths.